We apologize for any inconvenience and hope you will join us the following week. The price includes a delicious All You Can Eat Buffet, Bottomless Mimosas or Champagne AND a Bloody Mary Bar! Complimentary for children 5 & under! This pricing is subject to change for holiday events. 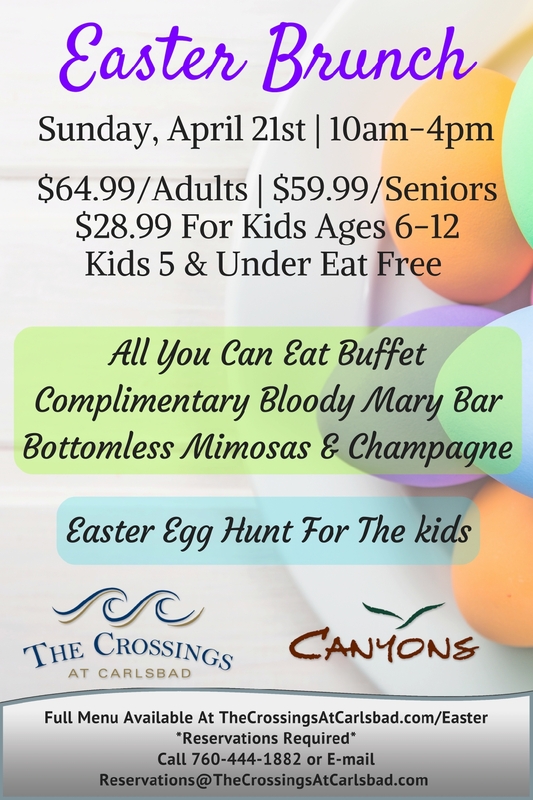 Please e-mail reservations@thecrossingsatcarlsbad.com or call 760-444-1882 to make reservations for holiday brunches. A member of the Food & Beverage team will respond to your email in order to confirm reservation.